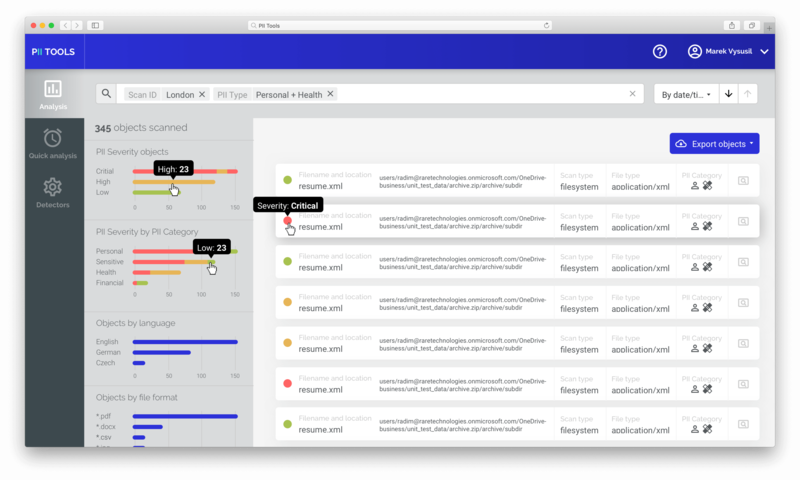 PII Tools lets you discover, analyze and remediate personal and sensitive data at scale. Context-aware AI detectors for GDPR, PII, PHI and PCI and more. From people’s faces to passwords, bank account numbers, credit card, street address to names, email, telephone, health information, to sexual preferences and political views. Each instance of personal data is detected in context and with severity. You can even define your own custom detectors. 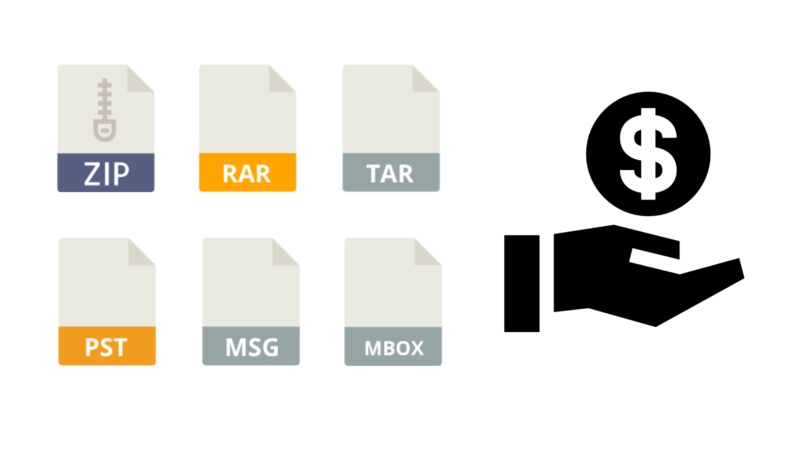 Find all sensitive data, local or remote, structured or unstructured. Stolen laptops are a common source of security breach headaches, and employees sometimes store sensitive data in the darnedest places. Are you sure you know what your employee’s Documents or Download folders really contain? PII Tools comes with small executable clients called Device Agents used to scan end devices. DAs securely talk to your PII Tools server, allowing you to scan and review selected folders on individual laptops and workstations. 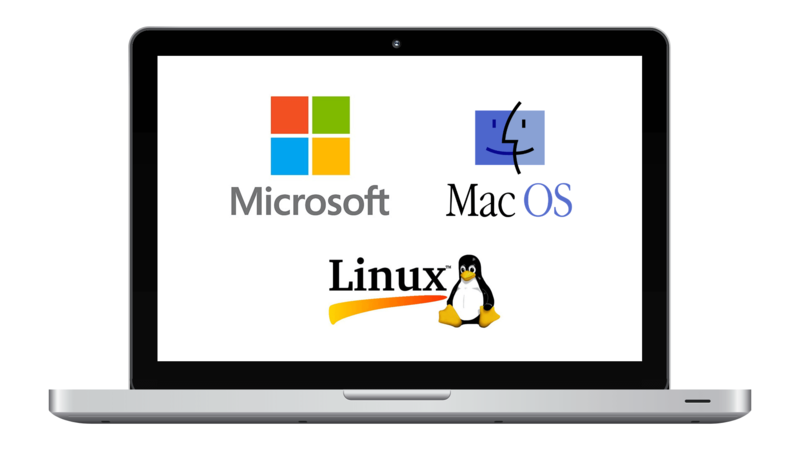 Supported device agent platforms include Windows, Linux and Mac OSX. Analyze what’s where with a powerful analytics dashboard. Enter a person’s name, phone or home address, and get back a list of all their detected records. Relevant context is displayed right next to each hit, to speed up reviews. Use to answer a GDPR Subject Access Request (SAR). 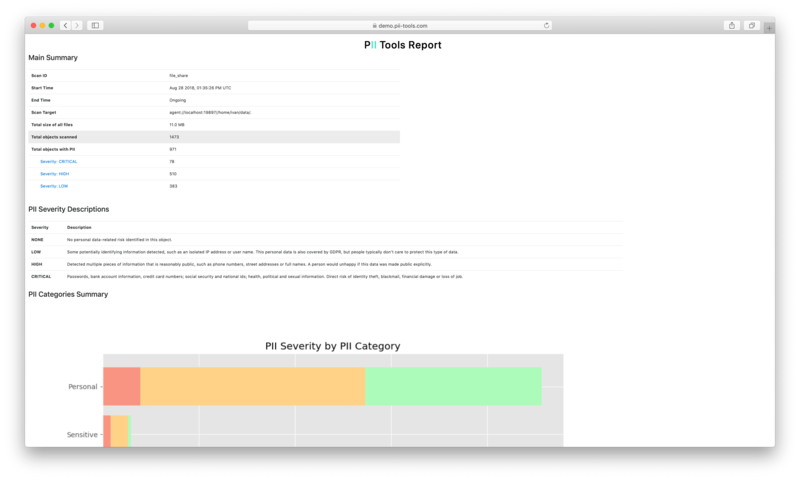 More generally, the interactive analytics UI allows you to slice & dice all scanned data, including by PI severity, storage type, file type, date, and of course any detected PI instances. Share interactive drill-down reports with colleagues. Start with a bird-eye-view summary of the discovered sensitive data. Then drill down by PI type and severity, all the way down to individual objects and PI instances in their context. These interactive drill-down reports can also be downloaded in a stand-alone HTML format, for easy sharing with colleagues as email attachments for discussion and remediation. Sensitive data in motion: Real-time streaming environments. Send a single file or a piece of text into PII Tools, get back the extracted privacy metadata formatted as JSON right away. This streaming mode complements the larger storage “batch scans”, and is ideal for detections in real-time protection environments and for data-in-motion. Worried about “cloud solutions”? So are we. 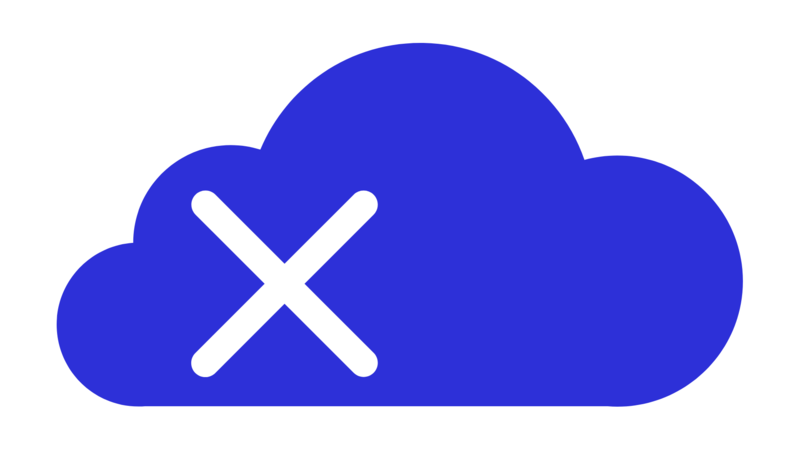 If you think building a privacy solution in the cloud is an oxymoron, you’re not alone. 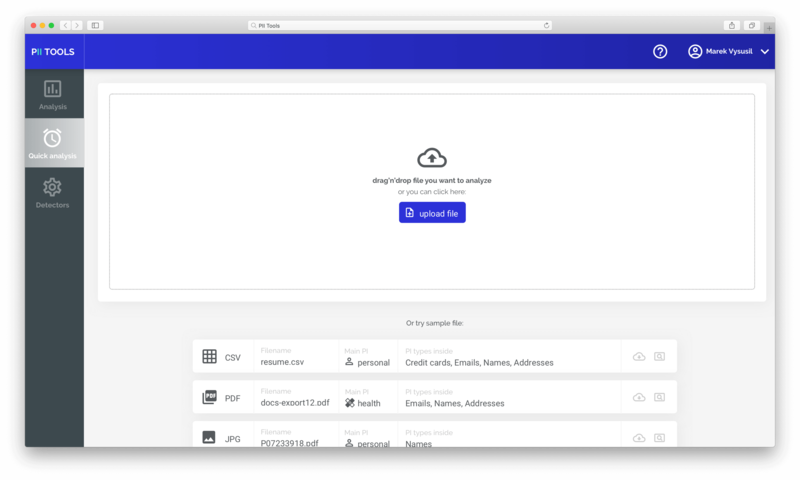 We designed PII Tools to be 100% cloud-free, so you can run it on your machines. You can deploy PII Tools to an auditor’s notebook. Or onto your own servers, whether on-prem or in the cloud. 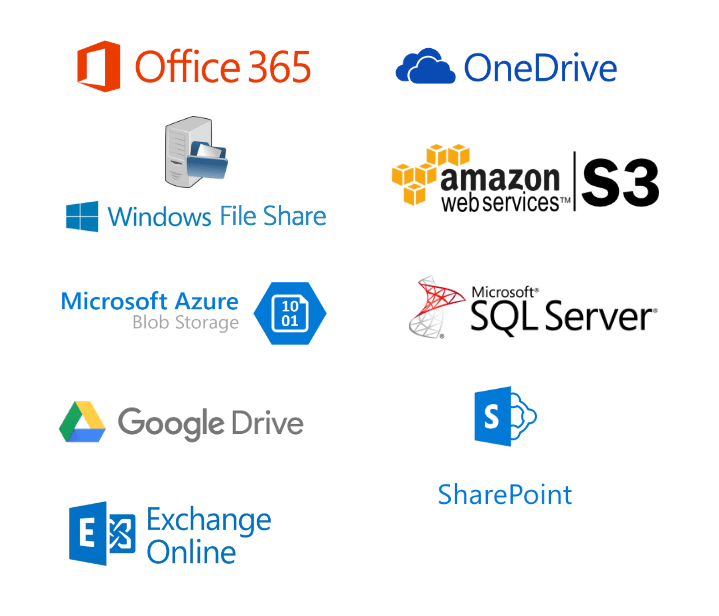 Supported deployment environments include Windows 10, Linux (Ubuntu, Debian, Redhat), OSX, Microsoft Azure, Amazon EC2 and Google Compute Engine. Pre-configured and ready to run. From purchase to first scan in 30 minutes. PII Tools comes packaged as a fully configured turn-key virtual appliance. Same everywhere. Less time wasted on installation issues means more time invested into understanding the data and its implications. A PII Tools is distributed as a virtual appliance: a turn-key, fully configured Docker image. 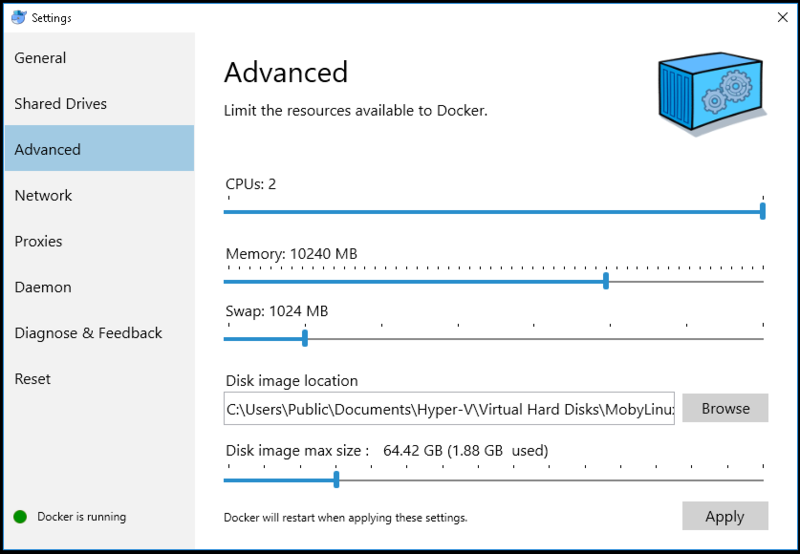 Once the Docker image is deployed on your machine, you’re ready to access the PII Tools web interface and start scanning. Anyone can deploy PII Tools in 30 minutes—and that includes the software download. Powerful developer API for scanning automation. 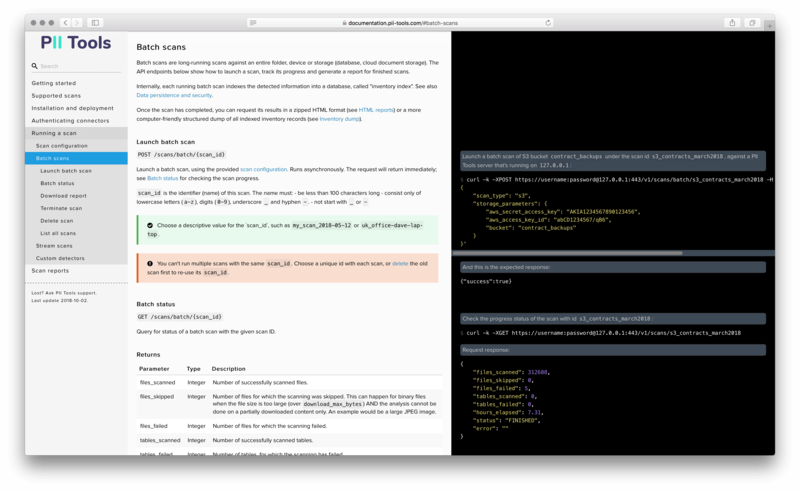 PII Tools is built to be fully modular, with all functionality exposed through RESTful APIs. This means machines can talk to machines: you can launch scans, check progress and generate reports programmatically, without any human input or clicking on web pages. Will PII Tools analyze OCR on a rotated PDF scan? You bet. PII Tools looks inside email attachments, images inside Word documents and nested archives, and will even analyze the text inside images and do OCR on scanned PDFs. 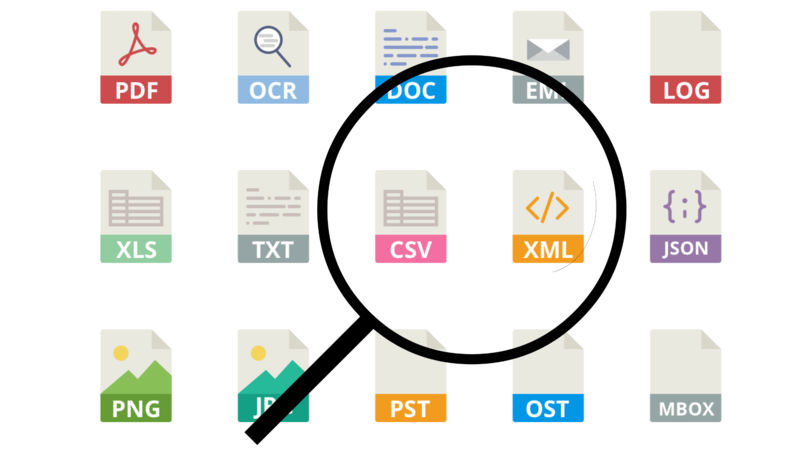 In total, it covers over 400 file format, including most structured (CSV, Excel) and unstructured (PDF, Word, email, log…) files. PII Tools will only download and analyze parts of data as needed, efficiently streaming the contents of large files. This allows handling of extremely large file archives and backup files, which often hide highly sensitive information gems. 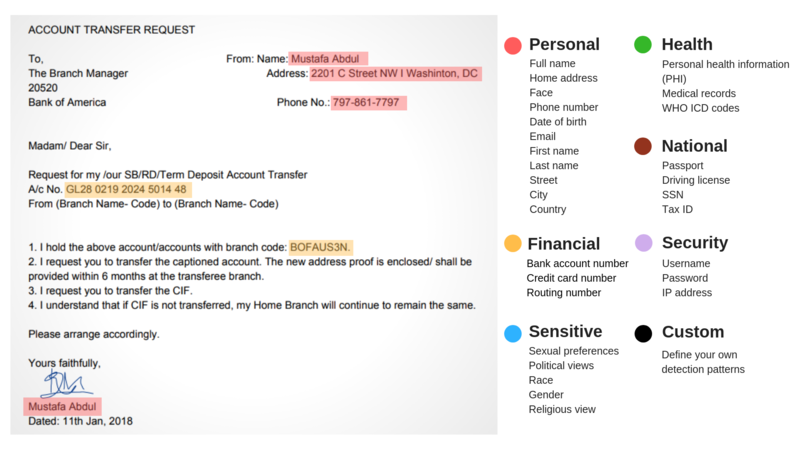 Take action: redact, delete or encrypt personal information. While PII Tools never deletes or modifies any personal data on its own, it can export and redact data on request. After filtering scanned files by name, address and other PI attributes, export the resulting set into CSV or JSON format. You can then import this format into other third party tools, to quarantine, erase or simply archive the affected objects. 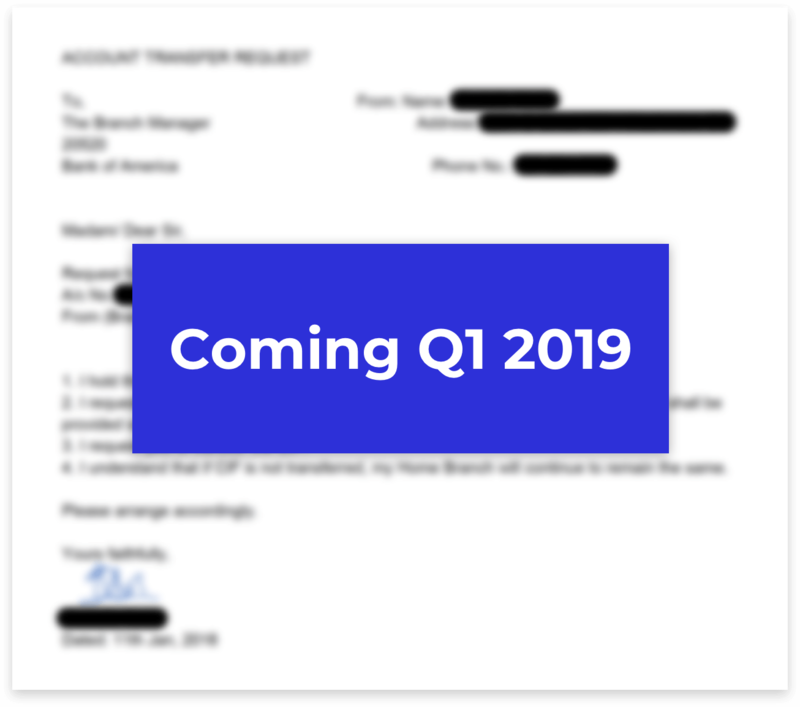 Redaction of data-in-motion (emails, logs, text files) directly in PII Tools is coming soon.